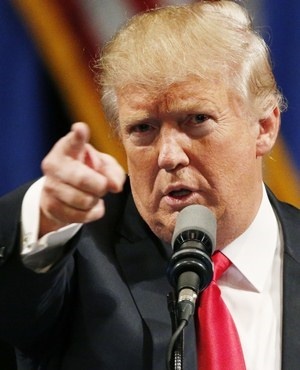 Agricultural industry body Agbiz has rejected US president Donald Trump’s tweet claiming that the SA government is seizing land from white farmers saying he doesn’t know what goes on in South Africa. “In the critical time that we are in now, we don’t need volatile statements like that,” Agbiz chairperson Francois Strydom told fin24. The Department of International Relations and Cooperation will meet the US acting ambassador to Pretoria, Jessye Lapenn on Thursday, and Minister of International Relations and Cooperation Lindiwe Sisulu will talk to Secretary of State Mike Pompeo through diplomatic channels, after Trump tweeted about the “large scale killing of farmers” following an investigation by right wing news channel Fox. Trump’s tweets come in the same week that Agbiz and Agri SA met with senior ANC leaders, who the two industry bodies said committed not to institute land grabs and promised the protection of productive agricultural land will remain a priority. Strydom called the week’s meetings “very productive” and referred to the land summit currently underway, organised by Lanbouweekblad and Agri SA in Bela-Bela Limpopo where Deputy President David Mabuza said land reform “must not result in social fractures and racial polarisation". “This is a historic moment to my mind, we’ve reached a positive atmosphere, we are talking solutions and finding each other,” Strydom said. Executive director at Agri SA, Omri van Zyl, echoed this message saying "it's not like we're falling off a cliff here". "Hopefully this will ignite us to get together and find solutions," Van Zyl said. Agbiz represents agricultural businesses in the second layer of the agriculture sector, such as financing, logistics and fertiliser. Minority rights group Afriforum said on Thursday that its trip to the US and talks with people and think tanks close to Trump had partly influenced his position. Agbiz chair Strydom, however, said that SA should be able to figure out its own land reform programme. “I would say we’re working on a solution and let SA find its own way,” he said. The parliamentary committee considering thousands of written and oral submissions on the possibility of changing the constitution to allow for land expropriation without compensation has until mid-September to submits its recommendations to the National Assembly. Land continues to be an emotive issue in SA as the ANC promised to redistribute 30% of white-owned land within five years in 1994 and has missed the deadline several times.